For awhile now, I've been on the fence about Christmas gifts. There are years when I love spending hours searching for the perfect gifts for friends and family, and other years when I feel like I'm falling into a black hole of consumption and waste. One year I convinced my family not to exchange gifts and we spent the time we would have spent shopping doing Christmas activities together instead. This was one of my favourite Christmases ever, but it was obvious that other members of my family missed the gifts so now we compromise by drawing names instead of buying for everyone. So far it seems to be working out, and I enjoy putting a lot of thought into one gift, rather than scrambling to get something perfect for everyone. Still, sometimes it is nice to take a step back from the urge to spend spend spend and make a gift instead. Making things for other people feeds my soul in a way that buying gifts never can because I get to exercise my creativity and develop new skills, while also making those I love happy. It's a win win! All these ideas are based on either something I received that lit me up, or something I gave that seemed to go over well. It was really nice to remember giving or receiving these gifts, and I hope they inspire you to spread love this Christmas, or at any time of year. Fill a mason jar with dry ingredients for a hearty vegetarian soup. Choose a soup based on pulses like lentils or split peas, add grains or pasta, spices and a recipe for how to bring it all together - layer the ingredients so they look beautiful in the jar. The friend who made this for me wrote on it "You fill my cup (of soup)." My heart melted. You can use this recipe or adapt your favourite soup! Another mason jar favourite: add cocoa powder or hot chocolate mix, marshmallows, chocolate chips, candy cane pieces, or whatever else you can think of to create a gourmet hot chocolate experience. A friend of ours made a chocolatey one for me and a minty one for Matt. So sweet! I still crave the homemade pear chutney that a friend brought me all the way from Winnipeg - I ate it with all my homemade curry dishes. She also included the recipe on a handmade ornament, which still has a place on my tree every year. In this post, I wrote about my first attempt at making aromatherapy blends. Once I had one I liked, I started giving away bottles of it. During my drawing project, I got really into drawing mandalas. 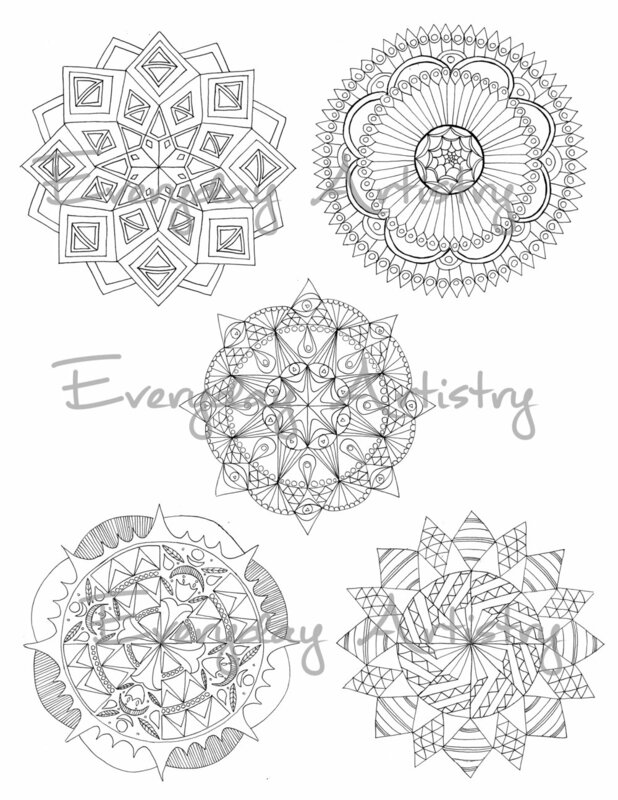 Colouring them in is so relaxing so I made some into colouring pages for friends. They're easy enough to make if you follow these instructions. Otherwise you can buy mine on Etsy. A friend of mine was one semester into her masters program and I knew she was feeling pretty overwhelmed. While only a few of these items were actually homemade, they made a great collection all together. Draw stories from your friendship or romance, or photocopy photos. Add quotes, snippets of remembered conversation, inspiring advice or whatever you can think of. I've received a few different variations on this idea over the years and I always treasure them. One year I made ornaments for my whole family, based on things they loved. I used a vintage manger scene and gold leaf to make one that looked like a religious icon for my aunt, and paper mache to make a tiny Rottweiler in memory of the dog my mom had lost that year. I was partially inspired by my mom, who for years had given my brother and I an ornament every Christmas so that when we moved out we would have a nice supply of our own. 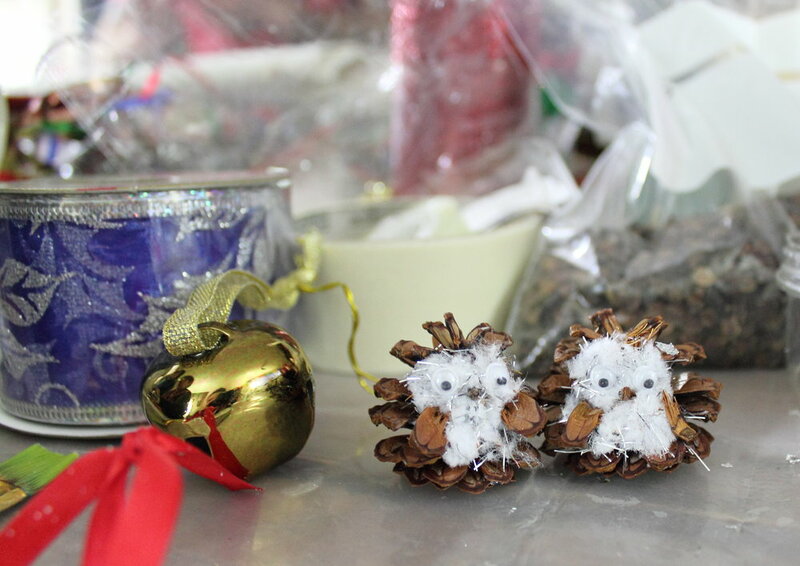 This helped me develop a deep love for Christmas tree ornaments - making and giving them. The obvious thing to do here would be to choose a quote you think the person would love and make something out of it. Or, you can surprise them by choosing something they said. Matt sent me a super inspiring text last year so I screenshot it and made a watercolour painting out of it. This website has step-by-step instructions for making simple and more complicated pop-up cards - they also have free templates. I've made a couple and they're always fun to give. One year I used an online service to print a page of magnets of favourite moments with Matt. While that service has gone out of business, there's probably something similar out there. The year before I printed photos of us and glued them to the labels of his favourite cola. Nothing spreads love like a loaf of handmade bread. And my friend was thoughtful enough to include two sampler bottles of flavoured oil and vinegar that she loved. Needless to say, I devoured this gift. My mom gave me a jar of this and it has been great to cook with - I usually splash some in my homemade spaghetti sauce if I don't have wine handy. I also read that it's great for making Caesars (the Canadian version of a Bloody Mary) so I might have to give that a try! All you have to do is soak peppercorns in vodka for a week and voila! Do you have any great ideas for homemade gifts that are soul-filling for the giver and the receiver? Leave a comment below!